This item is out of stock, but we may have something similar in stock that you'll like, or we can create a custom piece for you. Please contact a Fine Jewelry Advisor at (800) 509-4990 to learn more. Discontinued Aurora Matching Band - 14k White Gold - Ring Size 8.0 was added to your cart. 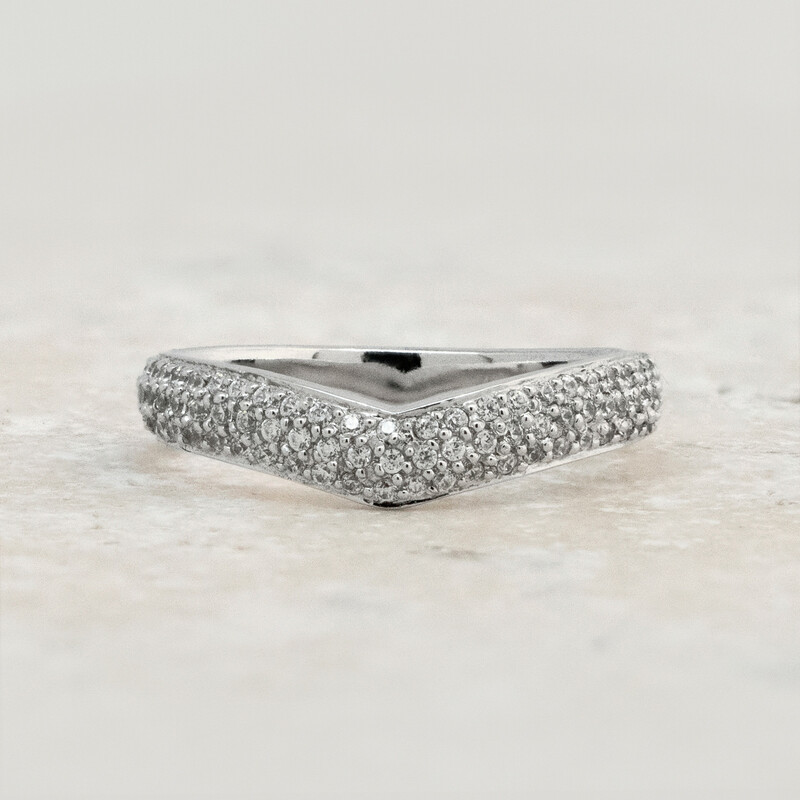 Designed to nest comfortably into the twists and turns of the pavé set Aurora engagement ring, this matching band adds another 0.475 total carats of fiery brilliance to your bridal set. This is a one-of-a-kind piece. Once it is sold, it’s gone for good. 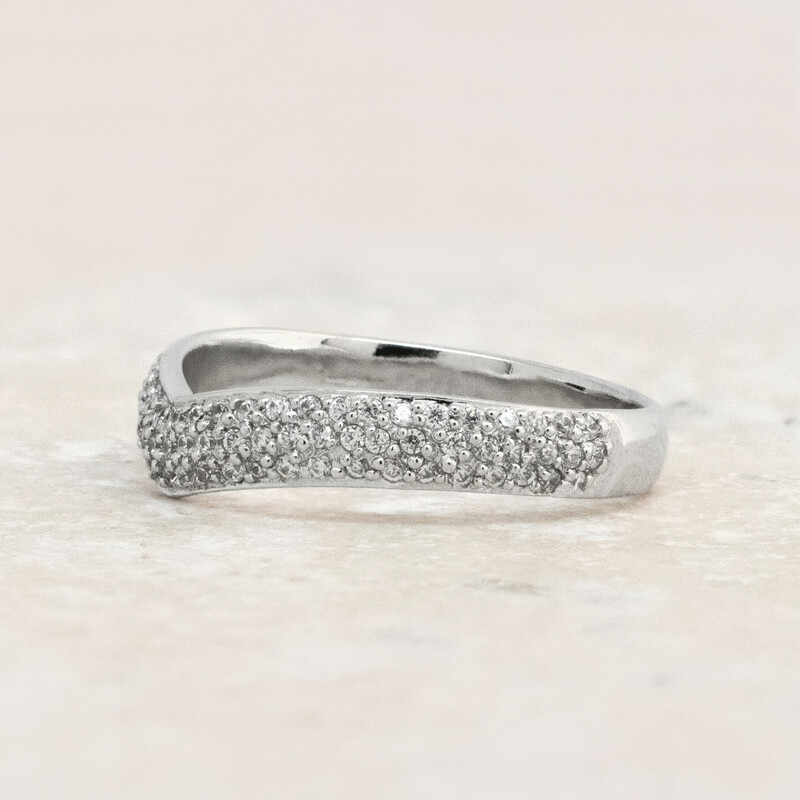 This ring cannot be sized beyond the range of sizes specified. This is an Immediate ship item. Your piece is produced to your specifications when you order it and will take one (1) business day to create. Your choice of shipping method will determine when you receive your product. Clearance items are returnable but are subject to a restocking fee of 25% of the purchase price, up to $75. They do not include a certificate from AIG and are not eligible for the Everything's Covered Plan. Clearance orders over $100 USD are shipped free with signature required. Contact Customer Care for information on expedited shipping options. APO/FPO orders always ship free. Clearance items can only be exchanged for items of equal or greater value. For more details, please contact Customer Service.